Now this is the kind of diamond you definitely need security for. 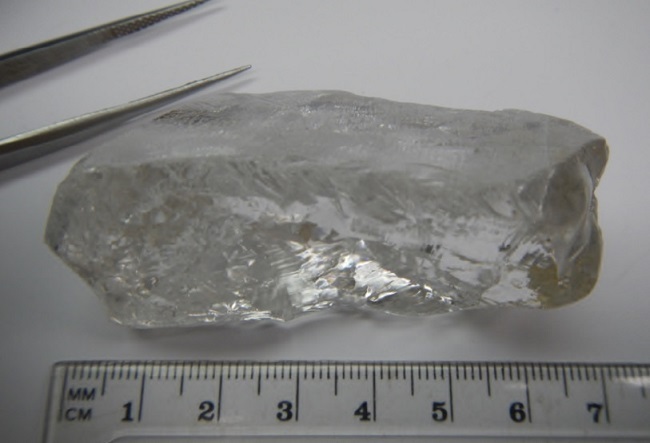 An Australian mining company working in Angolan named Lucapa Diamond has discovered a humongous 404.2 carat diamond. Apparently the establishment has been working in Angola for over a year and this is the biggest gemstone ‘they’ have ever come across in the Lunda Norte province, Western Angola. Angola is the third largest producer of diamond in Africa and sources say this is the 27th biggest diamond in the world. It is estimated to worth over $12 million dollars. Ladies wouldn’t you love this diamond as gift? Next ”I Never Expected This Would Ever Happen To Me” Did You Catch Olajumoke’s CNN Interview?